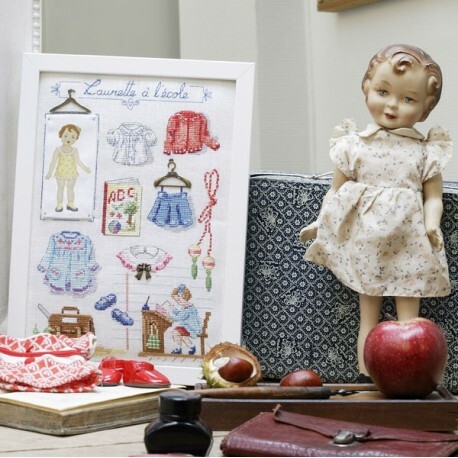 Laurette is a darling doll designed by V.Enginger. Here she tells us about school in the years gone by when handwritting was elevated to an art form. 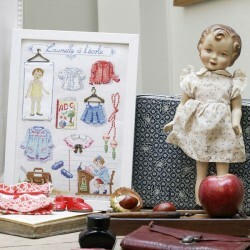 Especially for us, she also shows off her favourite items from her wardrobe, all neetly hung on dinky little hangers! 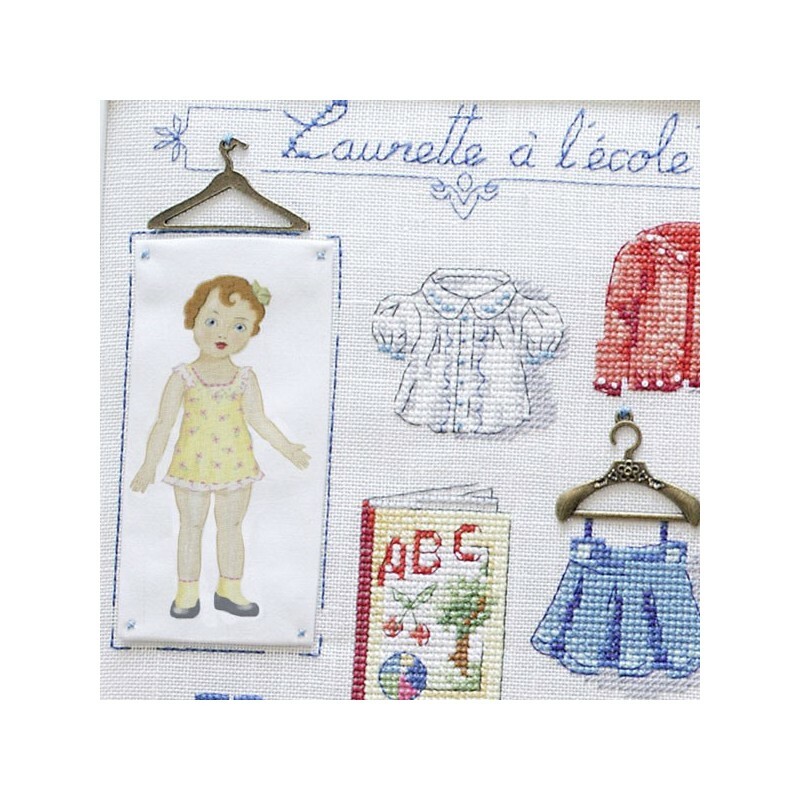 The «Laurette à l'école» half kit includes an ivory 12 thread count linen cloth, 40x35 cm, 3 charms in patinated metal (2 hangers and abow) as well as the fabric image of Laurette, ready to be sown onto the cloth. Also availlable in 5,5 point Aïda. 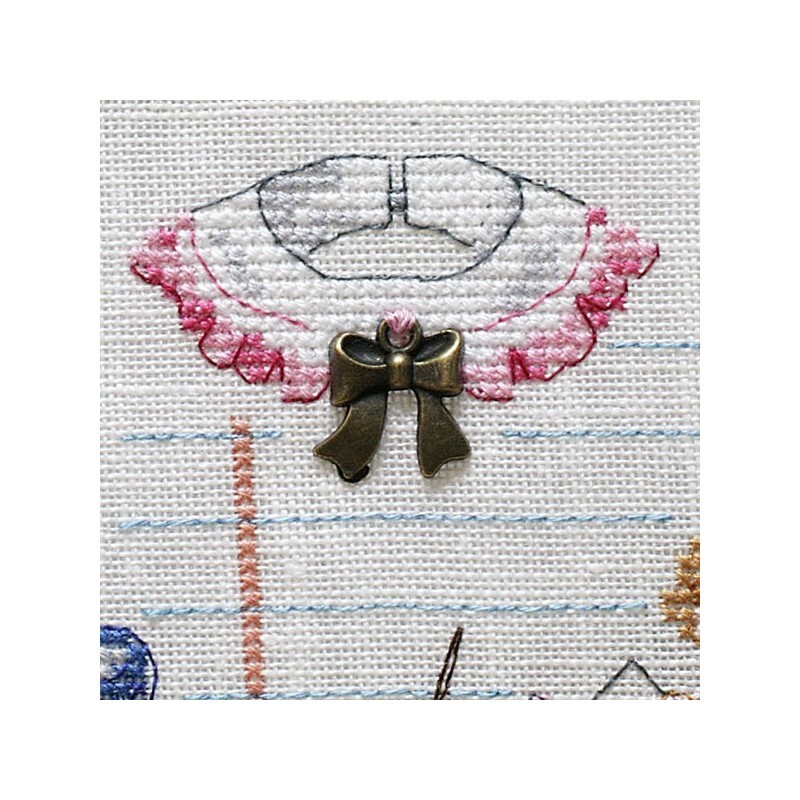 To see this product, please click here ! 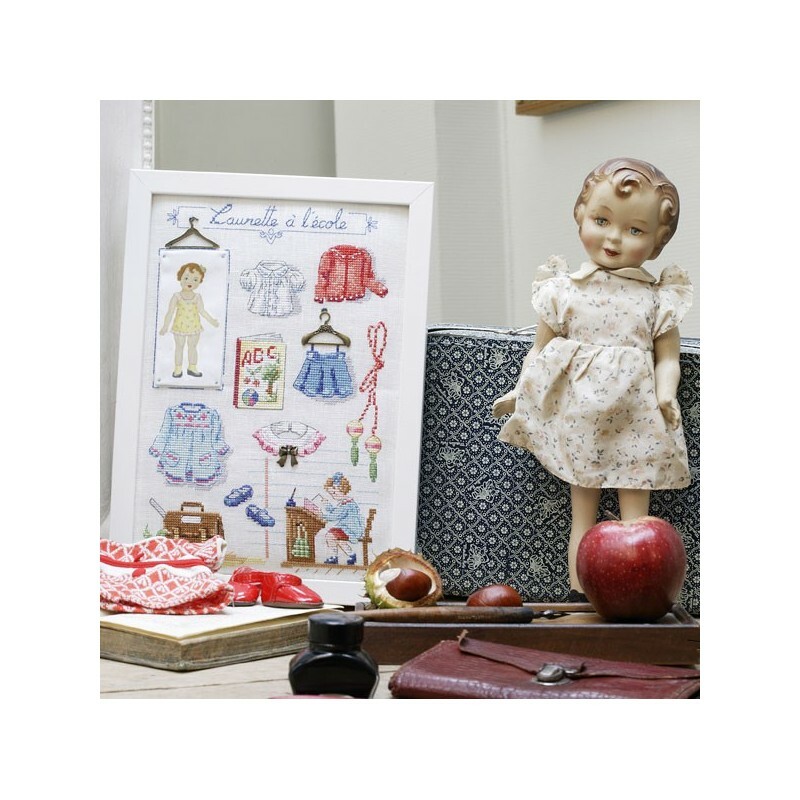 To find « Merry Christmas Laurette ! », click here !